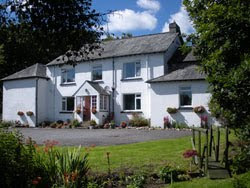 Not only is the Cherrybrook Hotel on Dartmoor dog friendly, but having a large dog ourselves we understand the need for dog friendly walks of the right length which avoid difficult stiles, etc. So, we provide our guests with maps and directions of suitable walks that they can easily undertake with their dog, no matter how large. Well behaved dogs are always welcome at the Cherrybrook Hotel and we are always happy to accept them completely free of charge. Hi there! This is a good read. You have such an interesting and informative page. I will be looking forward to visit your page again and for your other posts as well. Thank you for sharing your thoughts about pet friendly hotels. I am glad to stop by your site and know more about pet friendly hotels. Keep it up! pair of board shorts and a bandana for your pup. Please contact us so we can talk to your about your ideal vacation rental and pet friendly hotel needs, or to learn more about our cottages. Our calendars of availability may also help you plan your vacation. Your memories will last a lifetime.